Uniting utilities and contractors, to provide shared resources quickly and accurately in a fully documented process. Resource Assist™ bridges the gap between utilities and contractors. During emergencies or other major events, utilities may find themselves in need of additional resources. This challenging process often includes identifying resources needed, reaching out to multiple contractors, checking the contractor’s available resources, integrating committed external resources into ARCOS solutions, releasing those resources and finally having accurate reporting for post-event summaries. With Resource Assist this is no longer the case. ARCOS has created a centralized platform that unites utilities and contractors to automate the acquisition and assignment of contracted resources. Utilities now have instant clarity on which resources are available from contractors, as well as seamless integration with the ARCOS platform, so that they can all be managed in the same way. By reducing the amount of manual work and data re-entry in the current process, utilities can cut response time, speed up restoration and increase efficiency when requesting outside resources. Interested in seeing Resource Assist for Contractors? Visit the Resource Assist for Contractors page. Knowing the exact location of resources in blue-sky or emergency situations is integral to maximizing crew’s time while on the clock. With this capability managers and supervisors can have accurate estimates of time to the next work site and make more informed decisions. 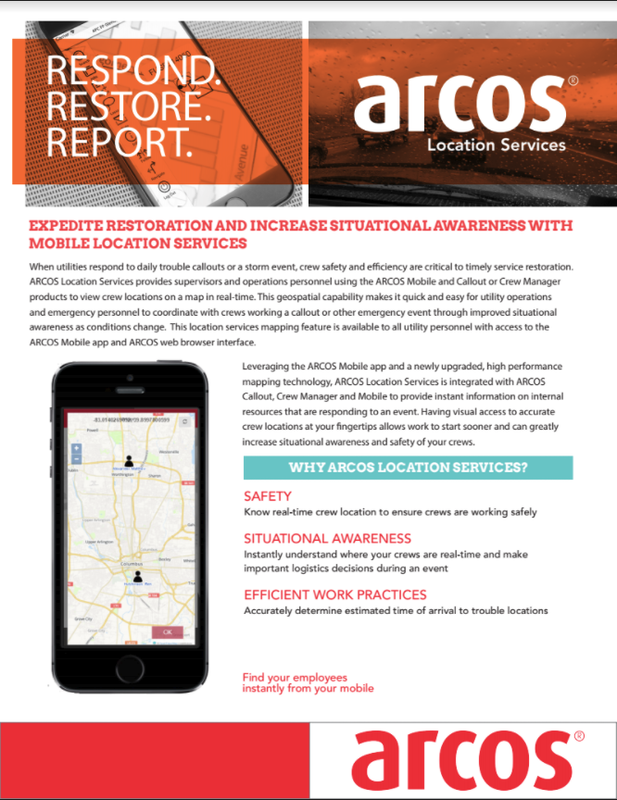 ARCOS Location Services® provides supervisors and operations personnel using ARCOS Mobile and Calloutor Crew Manager products to view crew locations on a map in real-time, so that even as conditions change, the data available is always accurate. 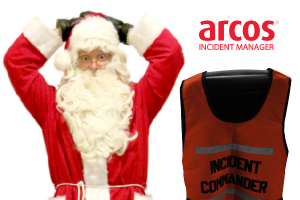 With this information available, coordination of resources for utility operations and emergency personnel, in a callout or other emergency event, is now quicker and easier.